Our heavy ANFO units are designed to fit your cab chassis and can be fully fitted up and commissioned shortly after delivery. As with our ANFO mix module units, the heavy ANFO unit consists of an ammonium nitrate storage tank and a process fuel oil tank. The product is discharged using a side-mounted auger, with convenient electronic controls placed in the cabin of the unit. A single person can operate a heavy ANFO unit; specialised controllers provide ingredient percentages and individual ingredient rates, which allow batch and total amounts to be recorded, with a second operator monitoring the loading. Heavy ANFO is a blend of ANFO and Emulsion, which is made to increase the bulk density of normal ANFO, with the ability to be loaded into partial wet holes. By using these blends you increase the density of ANFO, thereby increasing the energy in the borehole. It provides water resistance to ANFO and is priced somewhere between the cost of ANFO and pumpable emulsion, ultimately reducing your mining costs. Specialised bulk trucks are used for the loading of heavy ANFO. 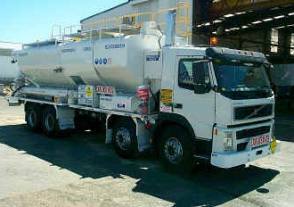 These trucks allow for the mixing of components prior to loading and provide for the loading of either ANFO or heavy ANFO. Contact us for safe, reliable and cost-effective solutions for your explosive needs.